We've selected five of the top positions available this week on Dezeen Jobs, including roles at London-based architecture firm Adjaye Associates and Japanese practice Sou Fujimoto Architects. Japanese architect Sou Fujimoto's practice has an opportunity for a senior architect to join its studio in Tokyo. 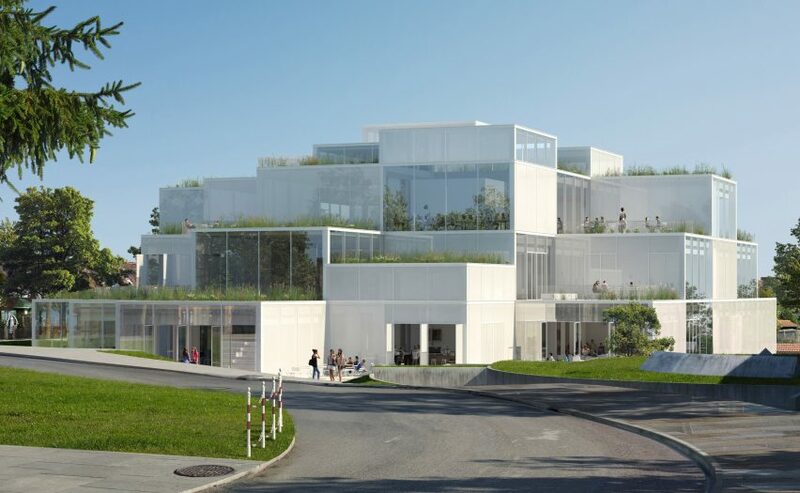 The architecture studio recently unveiled its plans for a learning centre at the University of St Gallen in Switzerland, which features a series of stacked glass cubes of varying heights. David Adjaye recently designed a 66-storey skyscraper in Manhattan. The building's exterior is covered with a textured concrete which the architect believes will make it ideal for close-up drone photography. The British architect's studio Adjaye Associates is seeking a team PA or office assistant to join its team in London. Jouin Manku is looking for a senior interior architect to join its firm in Paris, France. The studio designed the interiors of Bayerischer Hof hotel's lounge in Munich, which features a palette of natural tones and textures and a sculptural fireplace. US firm KieranTimberlake has designed Pound Ridge House, a woodland home located near New York City that features mirrored cladding that reflect its forested surroundings. The practice is has an opportunity for a business development specialist to join its office in Philadelphia, USA. Lever Architecture designed a tasting room at a winery on the L'Angolo Estate in Oregon's Yamhill County, which features a sloped roof with cedar and glass walls. The practice is seeking a junior designer or architect to join its team in Portland, USA.